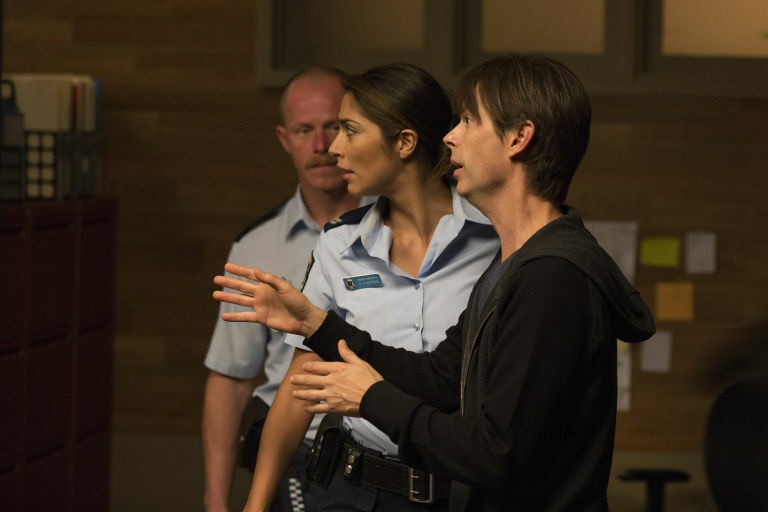 Home and Away's Ziggy Astoni will have her drink spiked in a dark new storyline. Ziggy gets targeted while alone and vulnerable in a city bar, leading to a frightening situation which sees her at risk of an assault. The sinister events will play out on screen in Australia this week and will air on Channel 5 in the UK in mid-November. Upcoming episodes see Ziggy spend some time away from Summer Bay, needing an escape as she feels terrible over a dark secret from the past. 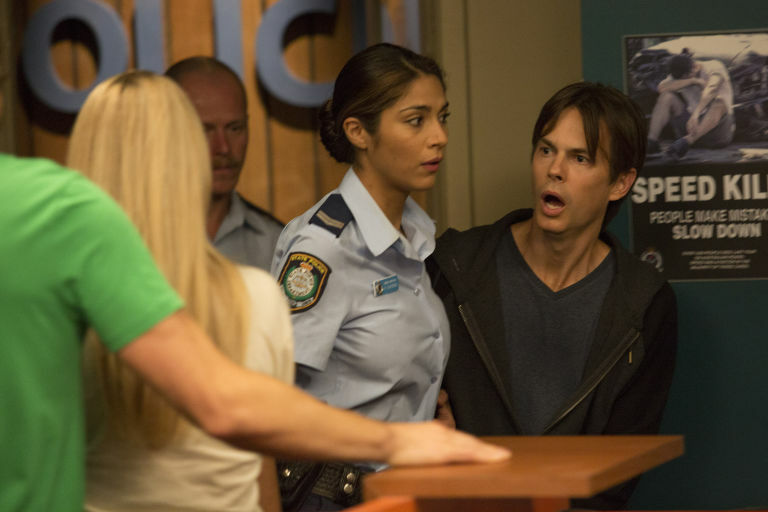 When Ziggy's mum Maggie gets spooked by an after-hours break-in at Summer Bay High, it brings back traumatic memories of a similar incident from years ago at her previous school. Maggie was injured when a group of troublemakers forced their way in at the time, but she's still unaware to this day that Ziggy was one of the teens involved. Now struggling with her renewed guilt, Ziggy drowns her sorrows at a bar and has her drink spiked when she briefly leaves it unattended. Later on, Ziggy starts to become affected by the drug and gets dragged off to an alleyway by a sleazy stranger. Will anyone rescue her before it's too late? Sophie Dillman, who plays Ziggy, told Aussie magazine TV Week: "This is a really heavy storyline for Ziggy. She's been so ashamed she was involved [in what happened to Maggie]. Now her guilt has driven her away from the Bay." Discussing the moment that Ziggy gets targeted, she added: "It's really sad for women that we have to be worried about this and have to watch our drinks. It's an awful thing that can happen. "It's important for women to stay in groups when they're out. If their girlfriends are behaving strangely, they need to seek help. They need to look after their friends and watch their drinks." Pictures of filming at Palm Beach last week. It seems that Ziggy & Brody will get engaged next year! Last edited by Pantherboy; 18-12-2017 at 11:44. The couple will prepare to tie the knot next year. Home and Away appears to be lining up a wedding for Brody Morgan and Ziggy Astoni, after the cast were spotted filming the scenes today. Ziggy had a brief relationship with bad boy Brody earlier this year, but it came to an abrupt end when the Astonis disapproved of their romance. Fans watching at Australian pace will have since seen the couple get back together, and it now looks like they will be preparing to take things even further next year. A Home and Away fan account spotted Sophie Dillman and Jackson Heywood – who play the pair – in wedding attire as they filmed a romantic ceremony at Palm Beach today. New pictures show the duo preparing to wed on the beach, but as always, the day won't be without its dramas. That's because it's looking like the young couple's nuptials will be rocked by tragedy when Ziggy's mum Maggie suffers a devastating collapse at the ceremony. Australian viewers will have seen Maggie's health take a turn for the worse in today's season finale (December 18), with her illness due to take centre stage in a big story next year. Will Brody and Ziggy manage to tie the knot? Or will Maggie's collapse spoil their special day? Home and Away returns to Channel 5 on Monday, January 8 at 1.15pm and 6pm. Elsewhere in Summer Bay, the Astoni family find themselves caught up in Mick Jennings's unpredictable behaviour once again. When Ziggy (Sophie Dilman) is walking home late at night, she crosses paths with Mick and gets scared as he's in the middle of a breakdown and hasn't taken his medication. Although Ziggy manages to escape unharmed to the Diner, Mick continues to wander around the Bay – clearly delirious and unsure of his whereabouts. Mick finally gets hold of some medication when Kat Chapman arrives to take him to the police station, where Ziggy is asked to make a statement against him. Although the situation is quickly resolved, Luc's loved ones can't help wondering whether this incident could work in their favour in a future custody battle. Do Ash, VJ, Leah and Irene now have more leverage to rely on? Home and Away airs these scenes on Tuesday, January 23 at 1.15pm and 6pm on Channel 5. Home and Away will hint at a reunion for Ziggy Astoni and Brody Morgan next month as their chemistry is revisited. Ziggy had a brief relationship with bad boy Brody last year, but it came to an abrupt end when the Astonis disapproved of the partnership. When Ben refused to let Ziggy continue living under his roof if she carried on with the romance, Brody had to intervene by suggesting it was best for them to split up. However, scenes airing in early February will show there is still a palpable spark between the pair as they start spending time together again. Ziggy and Brody's obvious rapport doesn't go unnoticed by her mum either, with it prompting Maggie to have a drastic change of heart over her daughter's love life. But while Maggie is starting to see the situation in a whole new light, her attitude isn't shared by Ben – who remains adamant that the pair are better off apart. Undeterred by her husband's feelings on the matter, Maggie later encourages Ziggy to reunite with Brody if she wants to – promising that she will be able to change Ben's mind. Unfortunately, there could still be another obstacle standing in the former couple's way as Brody is already having second thoughts about getting back together with Ziggy, due to his history with drug addiction. Will Brody and Ziggy decide to give things another go? And will Ben be able to accept their romance if they do? Home and Away airs these scenes on Thursday, February 8 and Friday, February 9 at 1.15pm and 6pm on Channel 5. Home and Away's Ziggy Astoni and Brody Morgan get engaged next month, but not without some major drama along the way. Ziggy (Sophie Dilman) decides to pop the question to Brody after she sees a secret letter that her unwell mum Maggie has written. 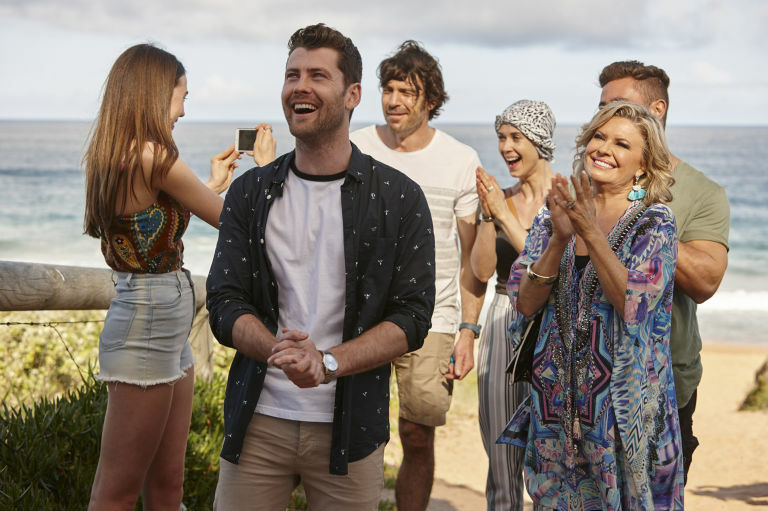 In the note – which Maggie only intended to be read if she loses her battle against cancer – the Summer Bay schoolteacher admits that she's worried about never getting to see her eldest daughter get married. Taking this on board, Ziggy decides to rush through a public proposal with Brody (Jackson Heywood), surprising him with a huge "Marry me" banner. Although Brody excitedly accepts, he later has second thoughts when he finds out the real reason why Ziggy asked him to marry her. Fearing that Ziggy didn't do it for the right reasons, Brody is left in turmoil and there's a real chance that the wedding could be off already. Fortunately, after some wise advice from Ben and Ash, Brody changes his mind and enlists his brother Mason's help to create a banner of his own in acceptance of the proposal. Will Brody and Ziggy make it down the aisle? Home and Away airs these scenes on Monday, July 2 and Tuesday, July 3 at 1.15pm and 6pm on Channel 5. Simone and Brody continue to grow closer this week, with a suspicious Ziggy keeping a close eye on them. But one mistake could cost him his marriage. In an effort to expose Brody's (Jackson Heywood) flirtatious new chef, Simone (Emily Eskell), the mechanic spends all her free time at Salt. "Simone's presence puts a different sort of chemical into the mix and things are beginning to change between the three of them," Emily, 28, says. Ziggy (Sophie Dillman) quizzes Simone as to her plans as a chef and offers up some of Brody's contacts in the city. But as she goes to find her husband's phone, she notices another phone on the bench. It's Simone's and, to her horror, the screensaver is a photo of Brody and Simone together! Ziggy finally believes she has all the proof she needs and angrily confronts Simone. 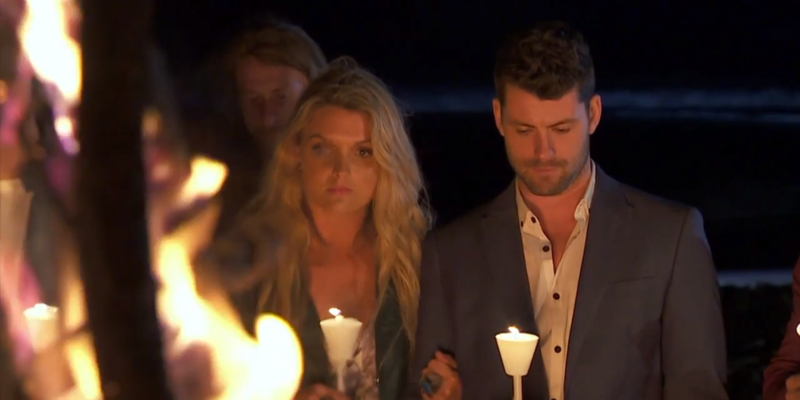 But worse is to come when Brody chooses to defend Simone – and kicks his wife out of Salt! "He wants to deal with the situation, but is starting to get confused about how he feels," Jackson, 30, hints. Given the events in recent weeks, Ziggy can't be blamed for thinking the worse. After walking in on Brody letting Simone try on his chef white's in the couple's bedroom, Ziggy understandably couldn't help but jump to conclusions. Worse still, she doesn't yet know that the pair were left stranded and locked in Salt's pantry together. It's only a matter of time before the truth all comes out, most likely leaving Brody in an awkward position. "The secret is finally about to come out."